Add ice to 16-ounce glass. Pour grenadine into the glass to create the red layer. Slowly pour Gatorade® Frost Glacier Cherry into the glass to create the white layer. 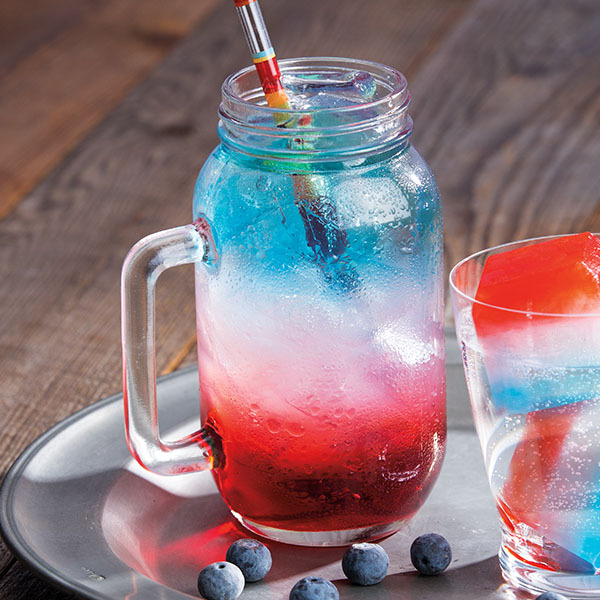 Slowly pour Powerade Zero® Mixed Berry into the glass to create the blue layer. 13 x 9-inch baking dish; refrigerate. Add ½ cup cold water to medium bowl. Sprinkle unflavored gelatin dessert over the top of water; let stand 2 minutes. Stir in 1½ cups boiling water until gelatin dissolves. Stir in milk; cool 15 minutes, stirring occasionally. Pour unflavored gelatin mixture over flavored gelatin cubes. Refrigerate at least 3 hours or overnight. 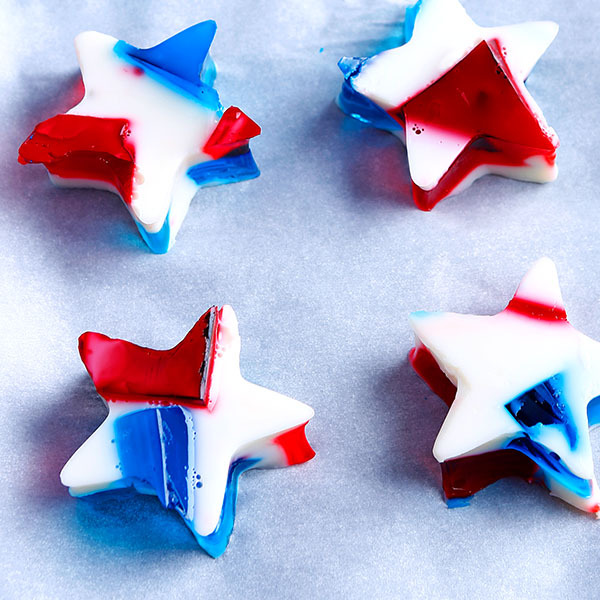 Cut gelatin with star cutter. Fill each ice cube mold in an ice cube tray full with Gatorade® Fruit Punch to create the red layer; freeze 3 hours. Pour Gatorade® Frost Glacier Cherry over the frozen red layer to fill ice cube molds full; freeze 3 hours. Pour Gatorade® Cool Blue over the frozen white layer; freeze 3 hours. 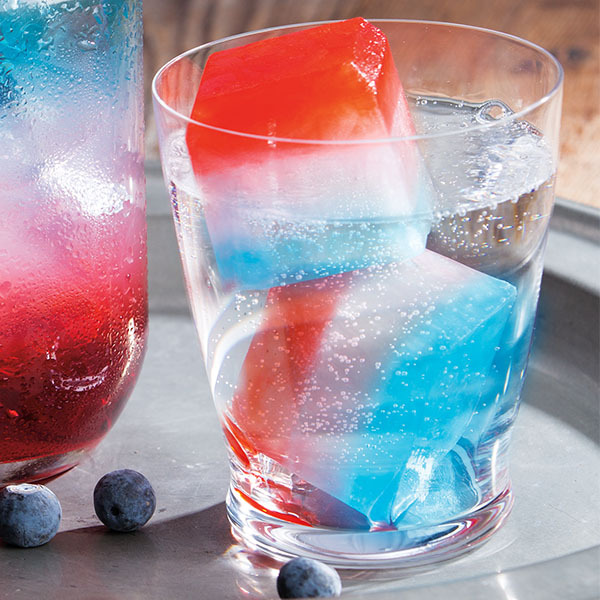 Serve in a clear-colored cocktail of gin or vodka with club soda or tonic water. Melt chocolate as label directs. Dip bottom two-thirds of a sweet cherry into melted white chocolate. 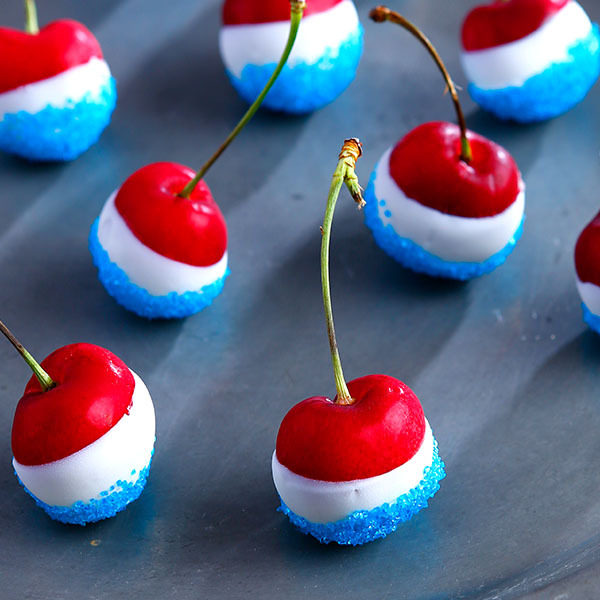 Immediately dip bottom one-third of the cherry into blue sprinkles. Let dry on cookie sheet lined with parchment paper.